The General Coordination Council of the UAC met for the annual meeting from May 18th to 24th. 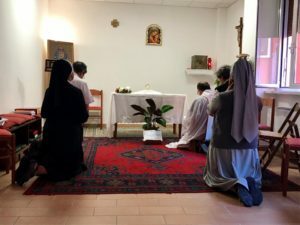 This year the meeting was held in the Pilgrim Centre of St. Teresa Couderc in the Monte Mario area of Rome. 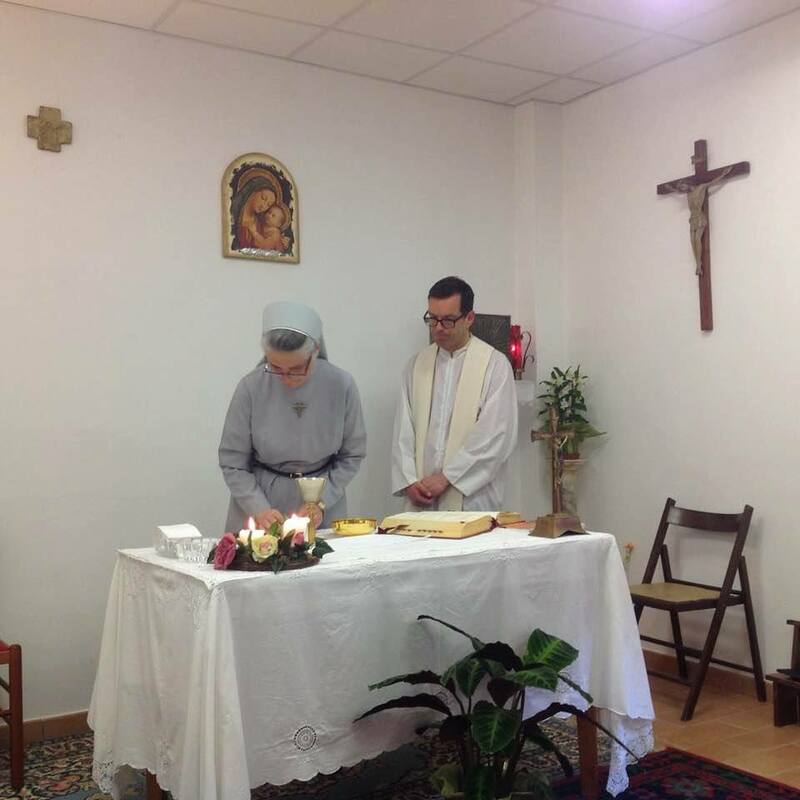 Present were the UAC President, Ms. Donatella Acerbi, the 3 General Superiors, Fr. 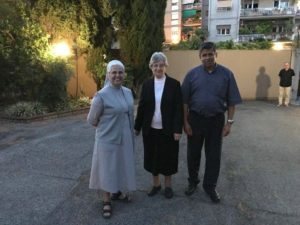 Jacob Nampudakam, SAC, Sr. Ivete Garlet, CSAC, and Sr. Izabela Swierad, SAC, and the 10 members, Sr. Salete Cargnin, CSAC, Frs. Stanislas Stawicki, Eugene Niyonzima, Derry Murphy and Frank Donio, and Mrs. Sonia Saldhana, Ms. Cheryl Sullivan, Mr. Marek Kalka; Sr. Martha Lohi, SAC, was unable to attend and her substitute was Sr. Bozena Olewska, SAC. Fr. 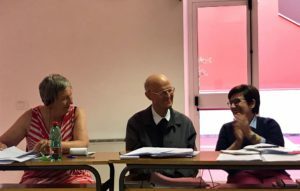 Hubert Socha, SAC, Juridical Assessor, took part in the meeting, along with the Bursar, Fr. 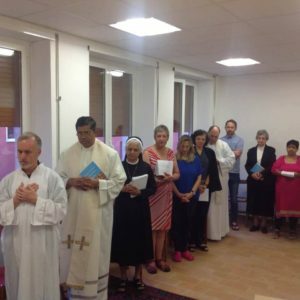 Norbert Sequeira, the Secretaries Sr. Carmel Therese Favazzo, CSAC, and Mrs. Rosa Colucci, and the translators, Brother Stephen Buckley and Sr. Lilly Nanat, CSAC. 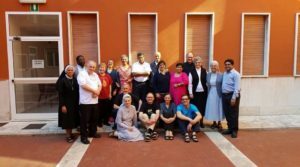 The annual meeting of the General Coordination Council of the Union of Catholic Apostolate (GCC) was held from 19th to 23rd May 2017 at Centro Pellegrini, Rome, with the main theme “Communion: Dynamic Source, Goal and Fruit of Mission”. Many aspects of the life of the Union like its juridical structure, formation, mission, finance, etc. were evaluated and discussed. The preparation for the forthcoming General Assembly of the Union in January 2018 was another theme for this meeting. While taking note of the positive development of the Union in many parts of the world, areas of weaknesses were also identified for greater attention and guidance from the GCC as well as from other structures of the UAC. The Rector General, Fr. Jacob Nampudakam, in his capacity also as Ecclesiastical Assistant of the Union, joined the 12 other members of the GCC at this meeting. 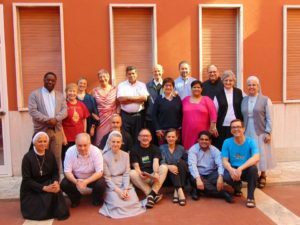 Miss Donatella Acerbi, the President of the General Coordination Council, the GCC members, Fr. Rory Hanly, the General Secretary and, in fact, all the members of the Union deserve our gratitude for their sincere efforts in trying to realise the prophetic vision of our Founder, St. Vincent Pallotti, always in service of the mission of the Church.